Leading historians discuss social and economic aspects of Edwardian life, offering a vivid commentary on the films of Sagar Mitchell and James Kenyon. The discovery of the Peter Worden Mitchell and Kenyon collection has been described as film's equivalent of Tutankhamen's tomb. This treasure trove of 800 films has now been preserved for the nation by the British Film Institute and is the subject of a BBC television series. The extraordinary actuality footage contained in the collection provides an unparalleled social record of everyday life in early 20th century Britain, featuring street and transport scenes, sporting events, parades and local industries. The discovery of actuality films commissioned by travelling exhibitors for showing at local fairgrounds, town halls and theatres has enabled a major re-evaluation of the Mitchell and Kenyon company's contribution to filmmaking in the United Kingdom. For the first time, a body of films (as important in their national context as Lumières' are in France or Edison's in the USA) can be researched in the context of local exhibition, dramatically increasing understanding of the evolution and development of film in its first decade. 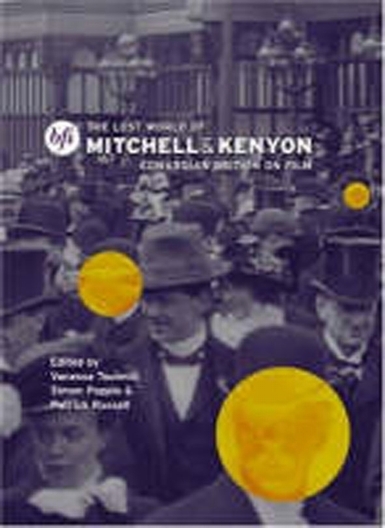 The Lost World of Mitchell and Kenyon contains essays from leading historians covering film history, popular entertainment, the seaside, transport, the earliest sporting events and the social and economic context of Edwardian Britain. Together they provide a vivid commentary on an unparalleled collection.